The Elder Scrolls: Legends | Legends Highlights: Pre-Isle of Madness Edition! Legends Highlights: Pre-Isle of Madness Edition! Isle of Madness is upon us, and with it come 55 new collectible cards and a brand new metagame to explore. We’re surely going to see some innovative decks and epic plays emerge over the course of the next few weeks but in the meantime, we’ve compiled some of our favorite highlights from the month leading up to Isle’s release. For submitting these great plays and letting us share them, we’ll be sending each of these players a 60-pack code - if you want to get your plays shared on our Twitter page or even included in our next article, tweet a clip to us with the hashtag #LegendsHighlights! Popular Legends YouTuber Justin Larson has professed his love for Chaurus Breeding Pit many times before, but no one ever thought he could summon it at will to his hand. And they say RNG cards like Telvanni Arcanist are unpredictable! With 34 health, only two enemy creatures standing against him and one of his lanes defended by a trusty Fighters Guild Recruit, WayneMcPain’s opponent was probably feeling safe. Unfortunately for him, Wayne and his Cornerclub Gambler had very different plans. There you have it - some of our favorite pre-Isle of Madness highlights! 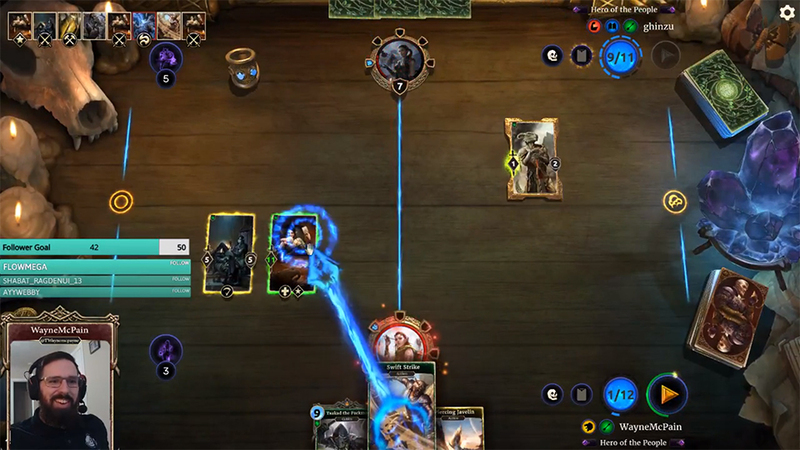 Again, be sure to submit your highlights to us on Twitter using the hashtag #LegendsHighlights, and we look forward to featuring some great moments utilizing the newly-released Isle of Madness cards in an upcoming article!